Fusion Interiors supports the design of energy efficiency in every aspect of your home design within your budget. We will specify energy efficient LED lighting, specify products that are not shipped long distances, and use products that do not bring in harmful fumes into the air inside your home. 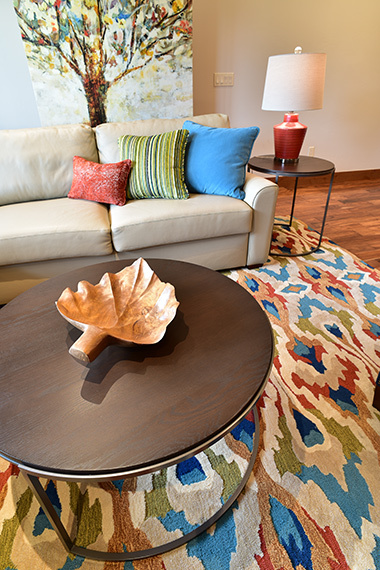 We are committed to using sustainable interior design practices as much as possible. We bring in the best local builders that are committed to energy efficient best practices such as NET ZERO homes, Energy Star homes and passive homes. These builders are perpetually supportive of sustainable interior design, and the teamwork that happens on these projects is unmatched when it comes the to quality of the final product. 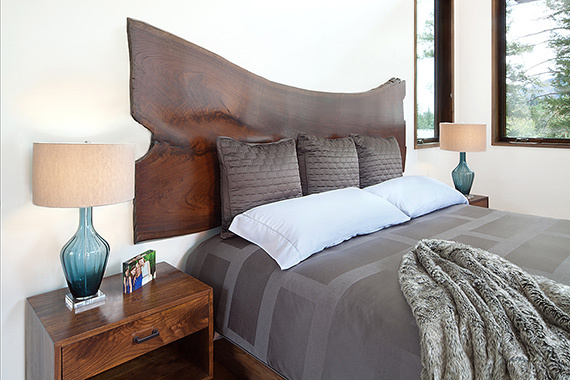 Sustainably sourced and locally made walnut headboard and nightstands and no VOC paint. We are passionate about merging your needs and desires with our expertise in energy efficient and sustainable interior design practices. Sarah Sumner was one of the founding members of the Sustainable Furnishings Council and has been accredited in the Leadership in Energy and Environmental Design (LEED) program. Additionally, Sarah works to keep up with the best practices in energy efficiency. If you consult with Fusion Interiors before you going to a builder or architect, we will make sure we bring together a team that is committed to energy efficient building and sustainable interior design from the start. Sustainable interior design can be affordable and beautiful!